Having unwanted junk and debris in your life is not good for anyone. It’s that simple. Whether it’s your home that is cluttered with junk or your office that has more than you like, either way it needs to change. 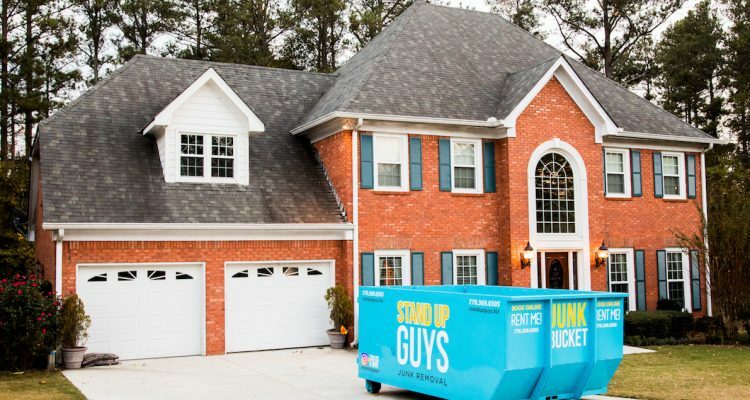 Many people in the Westchase area suffer from having junk cluttering up their lives, but we are here to tell you it doesn’t have to be that way, that there is a solution to your problem. You can live a clutter-free, junk-free, stress-free life. All you have to do is make the decision to change, and the rest is easy. The answer to all your junk and clutter issues in Westchase are simple. The Junk Bucket Dumpster! The Junk Bucket is by far the absolute best way to remove junk, debris and clutter from your home, office and life in general. The people of Westchase have fallen in love with The Junk Bucket Dumpster for many reasons. One of the many reasons that Westchase has fallen in love with The Junk Bucket is the amazing customer service. We ensure that all of our customers are treated great from beginning to end. This means we do what we can to make our customers happy and we stay in constant contact with them. Whatever our customers need, they get. Another reason people love The Junk Bucket Dumpsters are the fact that you can pretty much throw anything away with it. You name it and the Junk Bucket will take it. From household furniture, to yard debris to construction debris and more. Now that you are convinced and ready to take the plunge and remove the junk and clutter from your life and you are ready to get yourself a Junk Bucket, then the rest is a breeze, my friend. Once you are ready, simply pick up the phone and give us a call at 813-512-0480 and let us know when and where you want your own personal Junk Bucket Dumpster. We’ll take care everything once we know when you need it. 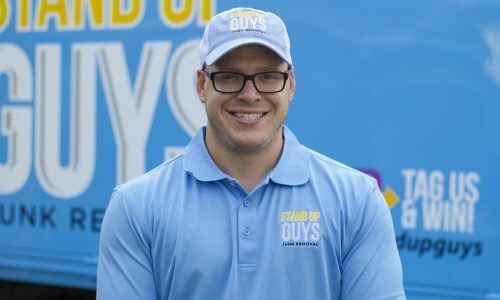 Two uniformed Stand Up Guys Professionals will be out to your property at the time you requested. They will drop the Junk Bucket exactly where you need. Our Junk Buckets are sleek and slender, so they can easily fit into spaces that others dumpsters otherwise can’t. Once the dumpster is dropped. It’s time to lace up your boots, tighten your belt and get to work! Once you have huffed and puffed your way through all your junk and clutter and filled up your Junk Bucket Dumpster. Give us a holler again and let us know. We will be out right away to pick it up, properly dispose of all your junk and let you live happily ever after, junk-free and stress-free.